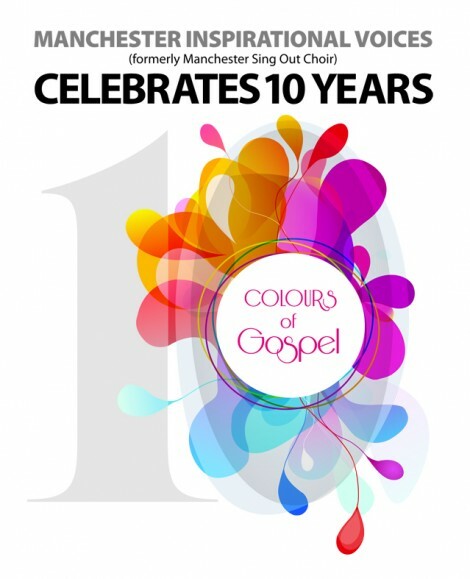 Manchester Inspirational Voices (formerly Manchester Sing Out Choir) warmly invites you to Colours of Gospel, an evening to celebrate the choir’s 10 year anniversary. We will be collaborating with some fantastic musicians and groups within the Manchester community as we share our love of music, performance and God. Tickets: £13.50 / £9 concessions. Visit http://tickets.rncm.ac.uk/single/SYOS.aspx?p=11349 or call the box office on 0161 907 5200.